Tickets are now available online via the venue’s box office. Brian Downey’s Alive And Dangerous – featuring guitarist Brian Grace, and former Low Rider members Matt Wilson (lead vocals, bass) and Phil Edgar (lead guitar) – will deliver the live record in its entirety at the fall gigs. 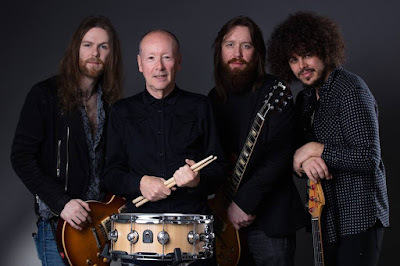 Brian Downey’s Alive And Dangerous are currently playing dates in Ireland and will begin a 5-week European trek in Gothenburg, Sweden on September 24.